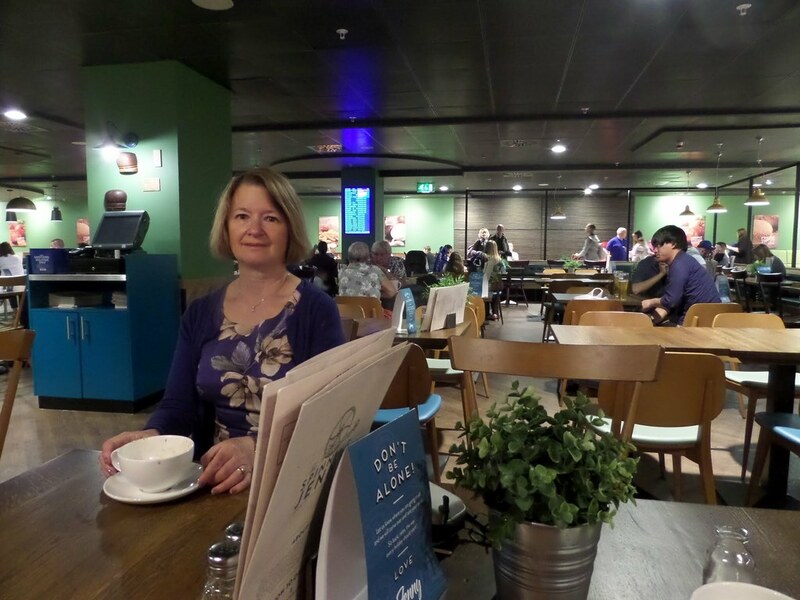 Awakening with nervous excitement as our latest travel adventure was about to take place, luggage in the car and driven to Manchester Airport in good time for checking in at the Qatar Airways desk for our flight to Kuala Lumpur via Doha. Boarding cards at the ready there was plenty of time for a cappuccino in Terminal 2’s Spinning Jenny cafe. Boarding for our flight was well organised and we were soon on board the Qatar Airways Airbus A330-200 airliner, in seats 16A and 16B towards the front of the cabin. The configuration of 2-4-2 meant that it was nice and private in the window seats with no passenger next to us. The flight time was 7 hours, after gin and tonics and a tasty meal of braised beef, I settled back in my seat and turned on the In-flight entertainment system (IFE) to watch a film. I selected ‘A Testament of Youth’ but it wasn’t easy to view the screen even with the window blind closed as the plane had not been refurbished with newer screens. The film was about the First World War One memoirs of Vera Brittain. 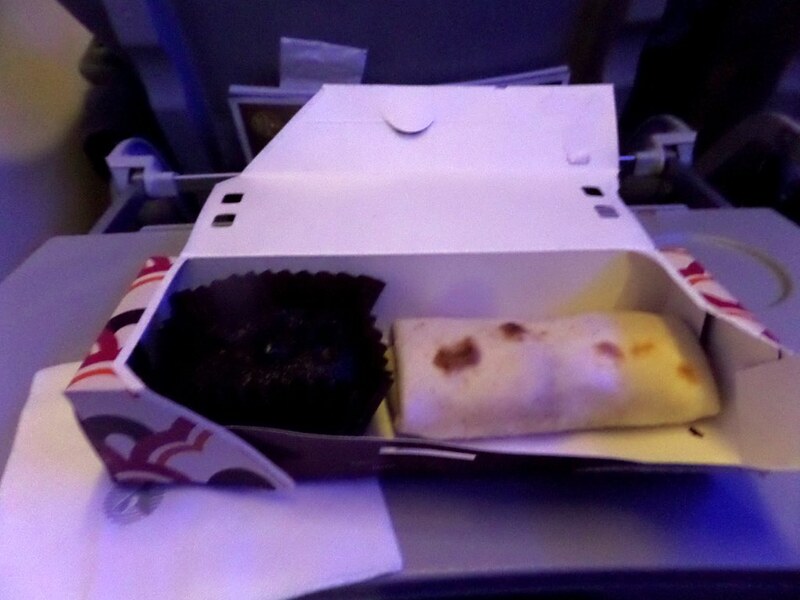 A snack meal was served 90 minutes before landing which was a very tasty chicken wrap and a chocolate muffin. It was 11.50 p.m. local time when we arrived in Doha. As our connecting flight was due to depart at 1.15 am there was little time to do more than stretch our legs. We had landed at a remote parking bay and had to be transferred into the terminal by bus as the airport is not quite finished and more air bridges still need to be built. The terminal didn’t seem quite so busy as when we were in transit here a few months ago. Our flight to Kuala Lumpur, flight time 7.30 hours, was on board an Airbus A340-600, the interior being of a more modern design than our earlier flight. 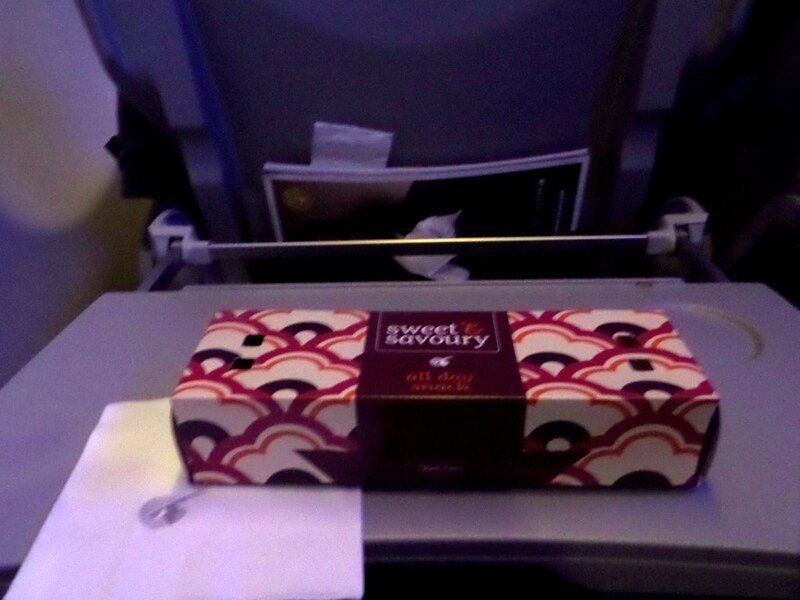 Our seats were in a similar position to our earlier flight and we were served with drinks and a snack soon after take off. Before settling down for a sleep I watched The Best Exotic Marigold Hotel which I enjoyed. There was a period of turbulence before a cooked lunch was served but it didn’t last too long, and we came in to land at KLIA, on time, at 2.05 pm. I do hope you get an opportunity to enjoy the service on a long haul flight and of course the experiences of visiting a far away land! Thank you for your much appreciated thoughts. Thank you for your kind words and much appreciated comments. Thanks so much for the detailed info. I’ll be travelling on Qatar Airways for the first time early next year, so it’s good to read about them. I love KL. It’s one of my favourite cities! 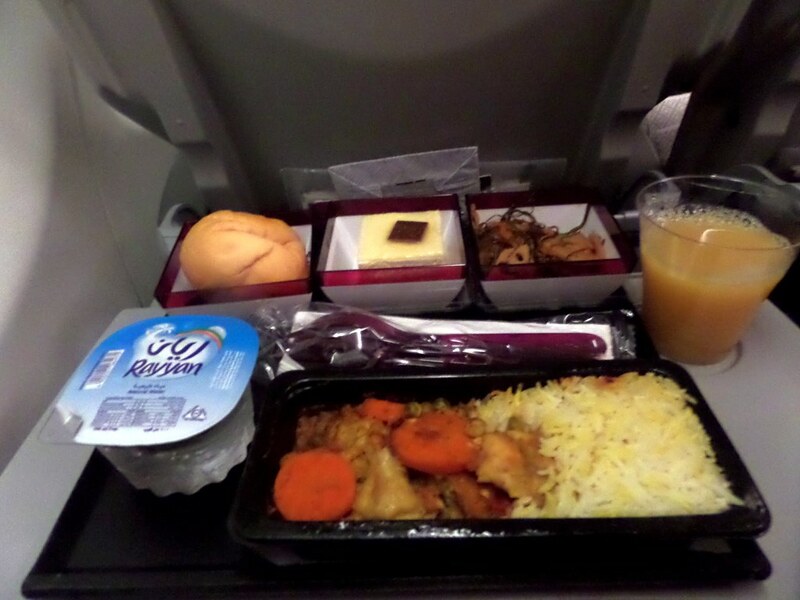 Hi, we’ve travelled to both KL and Singapore with Qatar Airways and been very impressed. Where are you off to.? I’m certain you will have a good time. Enjoy! My wife an I aspire to model our lives after yours, we’ll will try but never come close. I’d be looking for advice on the best method and how you arrange all these travels. Thank you for your encouraging comments. I have just been reading your post on the New Orleans paddle boat and I find it to be beautifully written and very interesting..